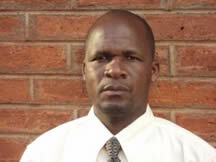 Dr. Fanuel Kapute holds a PhD (Fish Quality Management), MSc (Aquaculture & Fisheries Science), BSc and Diploma (Agriculture) from the University of Malawi. He also has a two year Certificate in the Principles of Fisheries Management from the Natural Resources College of Malawi. He has travelled to several countries attending several courses in fisheries science and aquaculture such as Israel (Hebrew University of Jerusalem), Philippines (GIFT Foundation), Taiwan (National Taiwan Ocean University), and South Africa (Rhodes University and University of Stellenbosch). He completed a six months course in fish quality management in Reykjavik, Iceland under the United Nations University Fisheries Training Programme (UNU-FTP) in 2009. Dr. Kapute is a Senior Lecturer and Head in the Department of Fisheries Science at Mzuzu University, northern Malawi where he also coordinates the Master of Science in Fisheries Programme. Before joining Mzuzu University, he taught at Bunda College of Agriculture (then University of Malawi) for 7 years in the Department of Aquaculture and Fisheries Science from 2005. He has to his credit several publications including a manual published by VDM Verlag, in Germany (ISBN 978-3-639-33844-7) which is used in the teaching of Fish Processing and Quality Management at Undergraduate level. He has supervised over 8 MSc and 20 BSc students in the fields of aquaculture, capture fisheries, fish quality management, extension and several inter-related fields in fisheries science. Apart from AJFAND, Dr. Kapute is also a reviewer to the Malawi Journal of Aquaculture and Fisheries (MJAF) and has reviewed some papers from the International Journal of Fisheries and Aquaculture (IJFA). He joined the Aquaculture and Fisheries Science field in 1993 working with the Malawi Department of Fisheries at different levels such as Research Officer, District Fisheries Officer etc before joining the University of Malawi in 2005. He has also carried out several consultancy assignments with several NGOs, UNIDO, SMEC, Songwe River Basin Development Programme (SRBDP) in Tanzania to mention but a few. He also won a three year competitive grant scheme funding from the government of Norway to implement an integrated fish farming project in southern Malawi in 2008. His current field of specialty is fish processing and quality management which is relatively new in Malawi. Prof. Paa-Nii T. Johnson is a Chief Research Scientist of the CSIR of Ghana as well as a Visiting Professor in Food Science and Technology of Natural Resources Institute of the University of Greenwich, UK. He was educated at the Kwame Nkrumah University of Science and Technology, Ghana (BSc Hons, 1979), Siloe College, University of Cranfield, UK ( MSC in 1986) and the University of Reading, UK ( PhD, 1996). His specialization is in food science and technology especially in the area of applied research in food processing, safety, food product development, post-harvest technology and food security. 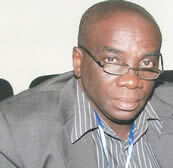 He was the former Director of the Food Research Institute of the CSIR, Accra, Ghana from 2009 to 2011. He has considerable experience in administration, scientific research project management and consultancy for over 3 decades. He has worked for the UNIDO as a consultant of food safety and pre-requisites programmes for implementation of food safety management systems. He also worked for the FAO, UNICEF and the World Bank. He has considerable university teaching experience, presently as a part time professor in the Departments of Nutrtion and Food Science and Crop Science all of the University of Ghana. He is coordinator of several research and development programmes and external assessor of several research reports and papers. He has over 300 publications, six-eight of these in peer-reviewed journals. He is a reviewer of several international peer- review journals including Journal of Food Engineering, International Journal of Food Sciences and Nutrition, African Journal of Science and Technology etc. He is presently on contract with the CSIR of Ghana working in the Research and Development Section coordinating a number of international collaborative research and development projects for Ghana. Arda Yıldırım is presently working as an Assistant Professor Dr. in the Department of Animal Science, Faculty of Agriculture, Gaziosmanpaşa University, Tokat, Turkey. In 1995, he acquired his B.Sc. degree in Animal Science and worked as a research assistant in the Institute of Nature and Applied Sciences, Ondokuz Mayıs University between 1996-1998. In 1998, He successfully completed M.Sc. thesis (Possibilities of using cottonseed meal in place of soybean Meal in quail ration) and in 2002, also graduated Ph.D. thesis (Effects of probiotics, prebiotics and organic acids supplementation to the broiler diets on performance and small intestinal and its microbiological characteristics) in the Institute of Nature and Applied Sciences, Ondokuz Mayıs University. In 2003, he has been appointed as Assistant Professor, Animal Husbandry and Health program, Şarkışla Aşık Veysel Vocational College, Cumhuriyet University. He has attended 30 International/National conferences in Turkey and abroad. He has authored over 100 peer-reviewed articles and he is currently serving on the editorial boards of several academic journals. His research focused on feeds and animal nutrition. Dr. Yıldırım has over fifty five research publications in reputable local and international journals. He is actually a member of Animal Nutrition Science Association, Ankara University Faculty of Veterinary Medicine Animal Nutrition and Nutritional Diseases.